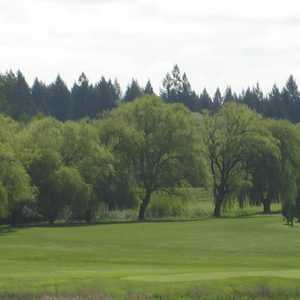 ALOHA, Ore. -- The Reserve Vineyards & Golf Club's South Course is a full-bodied, bold layout with splashes of sand and hints of water, aged well beyond it's 1997 label. The par-5 18th hole on the South Course at Reserve Vineyards. Gallery: South Course at The Reserve Vineyard and G.C. Gallery: North Course at The Reserve Vineyard and G.C. 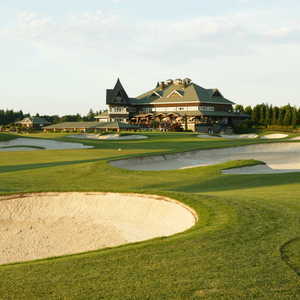 There are two championship courses at the Reserve Vineyards & Golf Club, which are available to the public through a unique rotating format. The South Course, also known as Fought after its designer, offers a completely different round from the North Course, which was designed by Bob Cupp. The South plays longer and straighter than the North Course and many claim it is the easier of the two but it also possesses an unbelievable amount of sand traps strategically placed throughout. Forgive me for being in the wine connoisseur spirit when describing the South Course at Reserve Vineyards & Golf Club. At the Reserve, the surroundings of this 350-acre property -- farmland, vineyards as far as the eye can see -- are serene. What's in front of you off the tee, however, may raise the blood pressure a bit: 114 bunkers and a course design tough enough for the pros. The combination makes for one of the Portland area's finest blends of scenery and challenge, to go with the class of a 40,000-square-foot, chateau-style clubhouse that serves its very own brand of wine. Located just west of Portland near Nike HQ and Beaverton, Reserve Golf Club is a 36-hole, semi-private facility that alternates which course is open to the public every two weeks. Former associates, John Fought laid out the South, while Bob Cupp designed the North Course. Opened in 1997 with aspirations of being one of the top golf facilities in the Portland area, The Reserve makes for one of the area's top pro-tested facilities. The Fred Meyer Challenge, a non-sanctioned PGA Tour event hosted by native Oregonian Peter Jacobsen, and the JELD-WEN Tradition have been staged on the South. It's a design that certainly looks like a Tour-worthy test, thanks in part to the layout's many bunkers, not to mention a gently rolling routing that is easily walkable. Deep and large, the traps surround many greens, while also often serving as directional markers in the fairways. With a large membership, the club alternates which course is public every two weeks while keeping the other exclusive to its members. Should the South be closed to the public, the North Course is more of an open, links-inspired layout. It also plays shorter, under 6,900 yards from the championship tees. The grass surrounding the greens, in the style of links golf, is often kept short to afford the chance for recovery shots. The opening nine is generally wide open, and the first hole is a gentle opener measuring less than 400 yards. The first real standout hole is the par-5 third, which is a demanding drive but rewards well-placed tee shots that play along the left side with a bounding bounce downhill and a chance to go at the large, wide green in two. The par-5 sixth hole has so much sand, 17 bunkers from tee-to-green, you might think you were out on the beaches of the Oregon coast. GolfNow user CPATaxGolfer may have said it best: "You need to be precise on some holes, because if you are in the yawning traps you may never be heard from again!" he wrote. "You will never be bored on this course." The back nine of the South tightens up a bit, featuring a few more holes playing through narrow corridors lined with tall trees. Holes no. 11 and no. 17, a par 3 and long par 4 respectively, share a large double-green, separated by a small pot bunker. Perhaps the tightest of the bunch is the narrow par-5 15th, which even has a tree in the middle of the fairway that can cause some havoc with your line of flight. No. 18 is a risk-reward finisher that affords the opportunity for a birdie. Playing up to 578 yards, the green is elevated and -- surprise -- well protected with sand. Fought, a former tour player himself, isn't giving you a hall pass on the last hole. With a peaceful, lush setting to go along with a championship-caliber course design and private-worthy amenities, the South Course at Reserve Golf Club is one of the best ways to spend the day on the course in the Portland area. 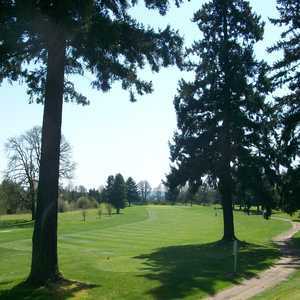 It's rates are higher than that of the Portland's golf scene's average price, but still falls below Pumpkin Ridge Golf Club and is usually in the $50-$70 range with a cart (though the course is very walkable). The South appears to be changing its look, however. Club officials report that over the next few years, the course's bunkers will be rebuilt so that the faces will be grassed to afford for easier maintenance. Other bunkers will be filled in completely. Facilities here are among the best in town: a 40,000-square-foot clubhouse. And guests can enjoy lunch or dinner in the Vintage Room, which has live music and wine specials throughout the summer to go with its locally sourced cuisine.